Roller Coasters are thrilling attractions that are highlights for many theme park guests throughout the world and Disney World is no exception. They have several great Roller Coasters and in this Disney World Top 6 installment we look at Disney's best. Disney World differentiates itself by improving the Roller Coaster experience by including the ride as part of a well themed story, and no one tells stories better than Disney. 6. 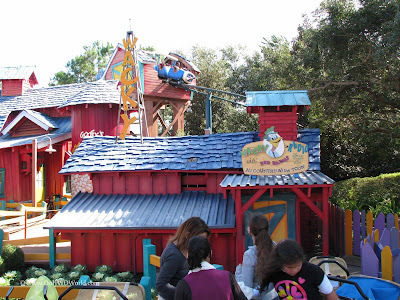 Goofy's Barnstormer at Wiseacre Farm - Many children get their first roller coaster experience on this Magic Kingdom classic starring Goofy. 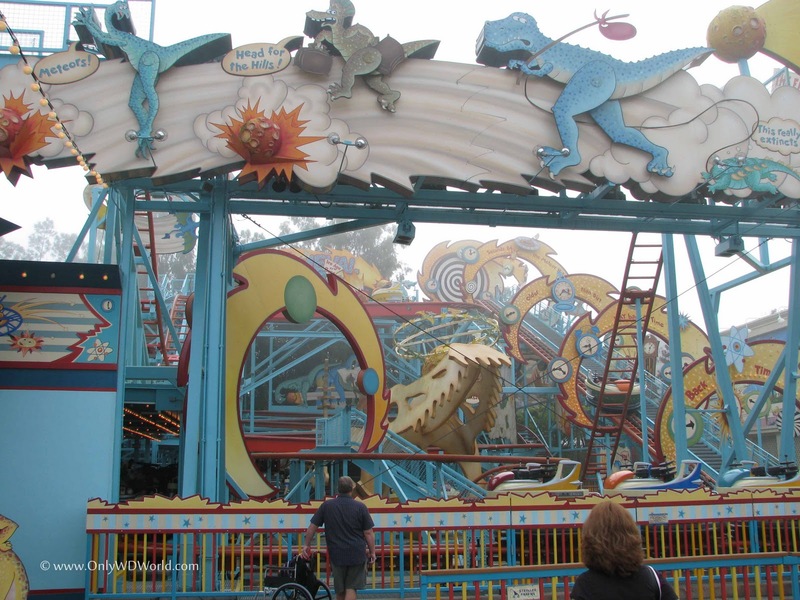 Although it is currently closed as part of the Fantasyland Refurbishment it will be rethemed to be the Great Goofini's Roller Coaster with a circus motif. Regardless, this gentle roller coaster is perfect to introduce youngsters to the excitement that they will crave when they get older. 5. 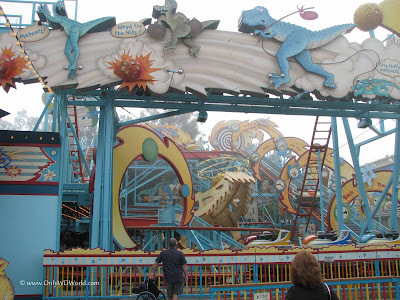 Primeval Whirl - This Animal Kingdom roller coaster combines elements of the classic "Mousetrap" styled coaster with the unique spinning ride vehicle to make for an exciting attraction. Here you find Chester & Hester creating their own version of "time machine" to compete with the much more sophisticated ones located at the Dino Institute (aka Dinosaur attraction). 4. 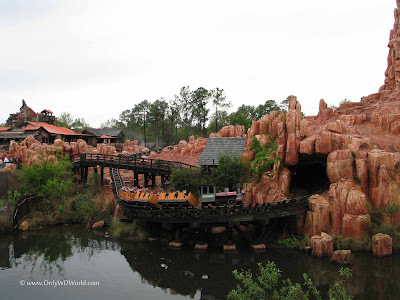 Thunder Mountain Railroad - A thrilling ride through lifelike mountain ranges, this roller coaster uses high speed twists and turns as opposed to long vertical drops. Here you are riding on a runaway mine train averting danger at every turn. Another ride that is suitable for the whole family. 3. 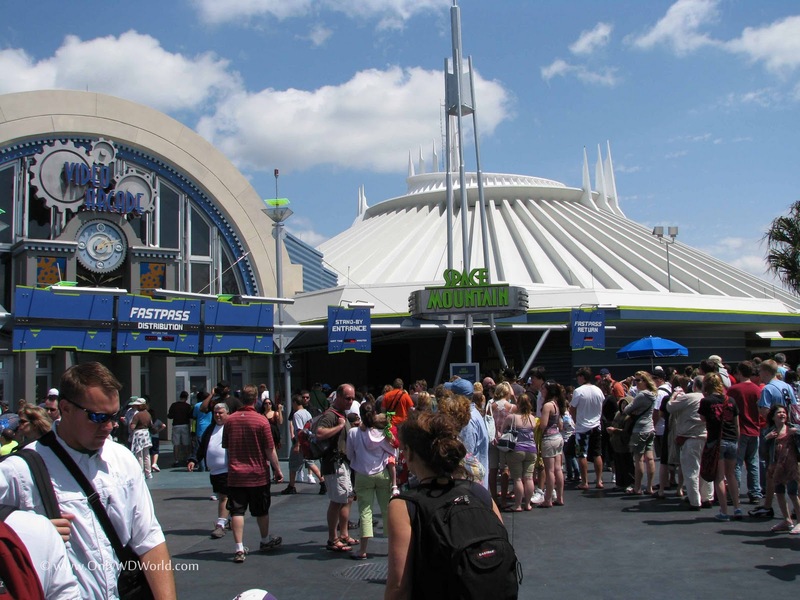 Space Mountain - The original Disney World Roller Coaster and the first original Disney Space Mountain. This attraction made its mark as the first roller coaster totally in the dark. This certainly helps sell the story that you are on a rocket ship traveling from one space port to another. Even after 35 years this attraction is still fun and thrilling. 2. 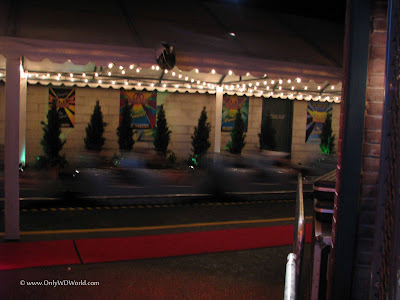 Rock 'n Roller Coaster Starring Aerosmith - This roller coaster is all about speed. 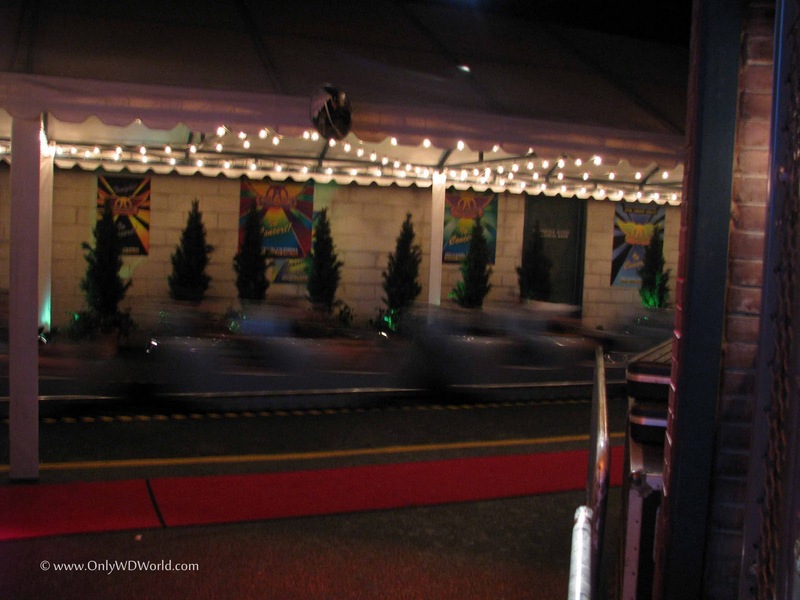 The above picture tells the story as the limo shaped ride vehicle appears as a blur as it races by. Here you are on a mad dash across Los Angeles in a super-stretch limo to catch an Aerosmith concert that is about to begin. This is the only Disney World coaster that travels upside down. The start is similar to a jet launching from an aircraft carrier, 0 to 50 in no time at all! 1. 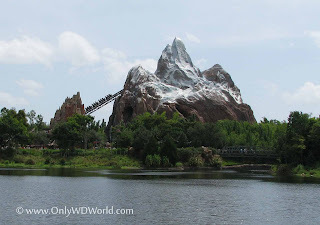 Expedition Everest - Beware of the Yeti! This attraction has it all. Incredible theming, well designed story, and awesome ride system. No wonder it is the number 1 roller coaster at Disney World. Here you are on a train in the Himalayas when you discover that the Yeti has destroyed the tracks as you reach the top of the mountain. 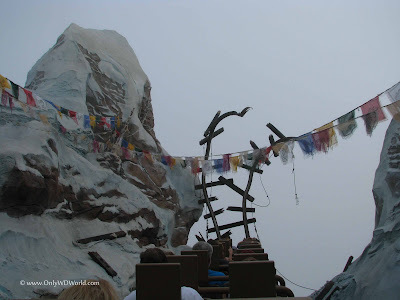 Your train then starts a rapid descent in reverse and then later changes direction back to forward for a mad dash down the mountain past the outstretched arm of the Yeti himself. Awesome attraction that is worth riding multiple times just to take in all of the details. 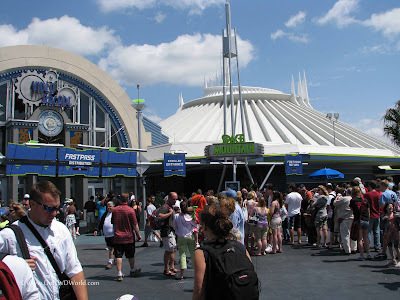 2 comments to "Disney World Top 6 Roller Coasters"
I never been to disney world but i am going this summer! Thaks! i am going to disney world next holloween and i am excited and this is my first time ever.